Here's a little glimpse of what we've been up to... Fine I'll admit it, our true identities came out. We have found a love for tennis! I actually get excited to play a sport!? Yeah, I still don't believe it. Our baby (iMac) is in at the doctors. We found out we had a bad hard drive! Thank goodness our warranty isn't up yet. I've been working away at designing business cards and setting up family photoshoots! Book yours today before it's too late! Lastly, our 1 year anniversary is coming up! Can you believe it's been 1 year already! Wow, good work! I am still trying to figure out how to dress up for the halloween dinner. Now, that's a classic/awesome look! Love it. 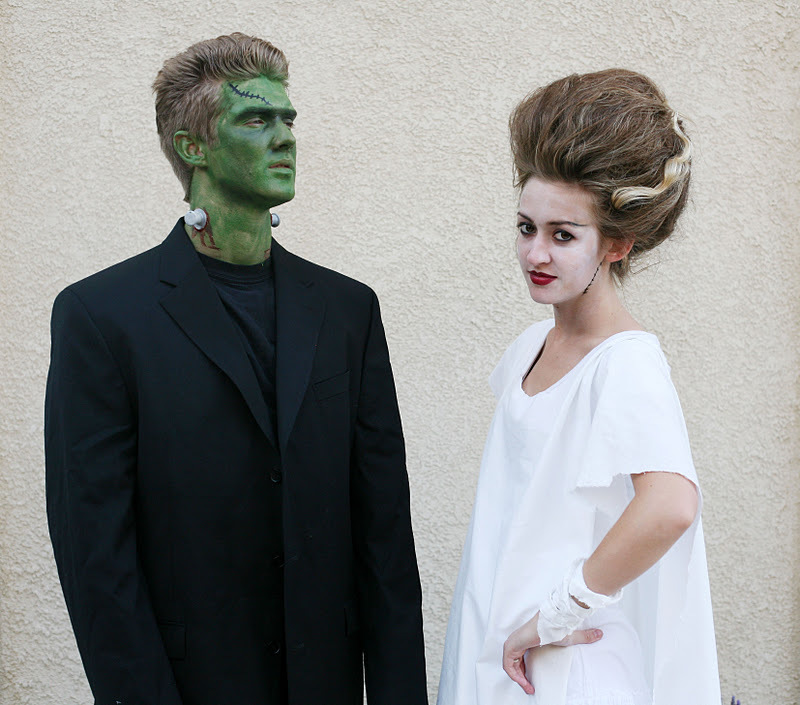 I'll have to say that's the best Frankenstein/F's Bride look. You guys look awesome! I totally can't believe it's been a year either! you guys look awesome! haha i love it!